Ocean Way homes are located in the Woods Cove neighborhood of the Laguna Village area of Laguna Beach, California. Ocean Way is an oceanfront street in Laguna Beach where you will find many luxury homes for sale situated between Moss Point and Bluebird Canyon Drive. 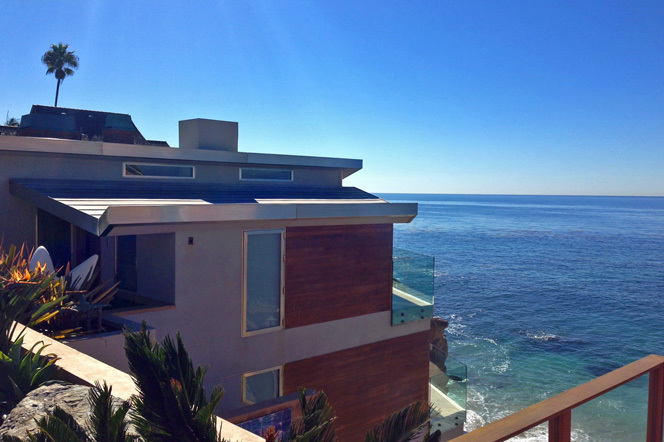 You will find some of the most beautiful coves & beaches in Laguna Beach located below Ocean Way street. These hidden spots include Woods Cove, Lover's Cove and Moss Point beach. You will find homes located on the east side of Ocean Way that are not oceanfront but will have ocean views. To view all the homes located on Ocean Way please click on the homes below. We specialize in luxury oceanfront homes here in Laguna Beach and take pride in helping our clients find the very best properties for sale. For more information about Ocean Way homes for sale please contact us today at 949-355-1622. 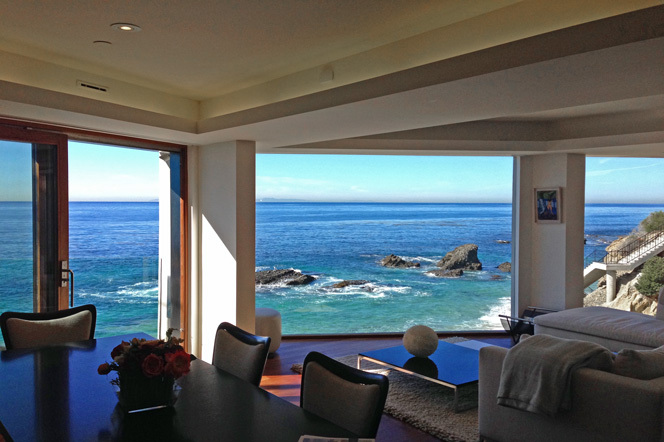 We specialize in Ocean Way Oceanfront Homes and Laguna Beach Real Estate. One of the most famous homes on Ocean Way is known as the "Gull House" as pictured below. This sleek ultra contemporary home was built brand new in 2009 and features neat angles that are accented by rich hardwood and walls of glass. This area of Woods Cove offers amazing views of Catalina Island and sunset views.